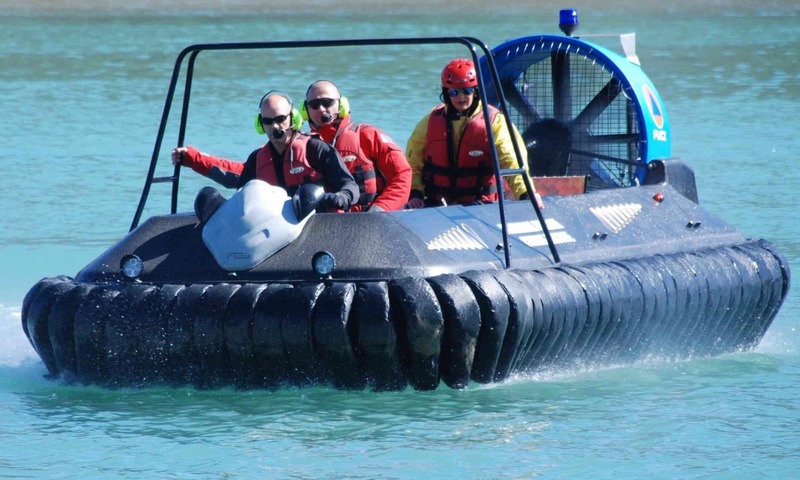 Mud Rescue Hovercraft can travel over any flat surface, so rescue from mud – impossible by boat, is made easy using mud rescue hovercraft. In 2004 – 5 February, 23 Chinese cockle pickers were drowned by an incoming tide in the UK – they were collecting cockles at low tide on sand flats at Warton Sands, paid £5 per 25 kg of cockles, but were cut off by the incoming tide in the bay at around 9:30 pm. Local people report that the incoming tides in Cumbria travel faster than a man can run. When tidal changes occur, the consistency of the mud changes – Undisturbed, the mud is relatively solid and will support a fair amount of weight, but when the consistency alters caused by fast incoming tides, it liquefies quickly, trapping the victim. Mud is both cold and heavy leading to exhaustion and hypothermia. Hypothermia occurs when the body’s temperature falls below 35.0 °C (95.0 °F). Severe hypothermia can be fatal without prompt medical treatment. Symptoms of hypothermia include feeling cold, pale skin, shivering, loss of concentration, poor decision making, loss of muscular strength, drowsiness, confusion, dizziness, slurred speech, dilated pupils and slowed breathing. attempt requires rescuers to take valuable time donning dry suits, and attempting to throw a lifeline; traditional methods place victim and rescuers in danger. Often victims do not have the strength to reach, hold life lines, and if the mud suction is not overcome, pulling a victim from the mud can cause serious spinal injury. Hovercraft enable rescuers to reach the victim quickly, and to pump air into the mud to change the consistency, reduce the vacuum suction effect of the mud. A spine board should be used to keep the victim flat – attempting to pull the victim from the mud without first reducing the suction can cause spinal damage to the victim. Ofcourse, failure to extract the victim in time can cause death by drowning and Hypothermia.